Formed in 2005, Basket Case performs all of Green Day's fan favorites like Christie Road to their most recent songs from Revolution Radio. Pulling from all of their albums including Kerplunk, 1039, Dookie, Nimrod, Insomniac, American Idiot, 21st Century Breakdown and more! The Green Day Tribute Band, Basket Case, was formed in the summer of 2005 hot off the heels of Green Day’s latest release American Idiot. During the bands rookie year, Basket Case took the stage armed with all of Green Day’s hits from Dookie to American Idiot and fan favorites from earlier releases, Kerplunk and 1039 / Smoothed Out Slappy Hours. Basket Case was able to develop their sound and stage act playing local clubs on Long island including the legendary Dublin Pub, The Village Pub, Lily Flanagan’s as well as popular New York City venues like The Lion’s Den. From the early years to now, Basket Case has developed their act with more songs including the crowd rockin’ King for Day & Shout which is always a hit no matter what crowd we play in front of. Basket Case also plays popular songs that Green Day has covered throughout the years including Green Day’s versions of My Generation and Blitzkreig Bop. 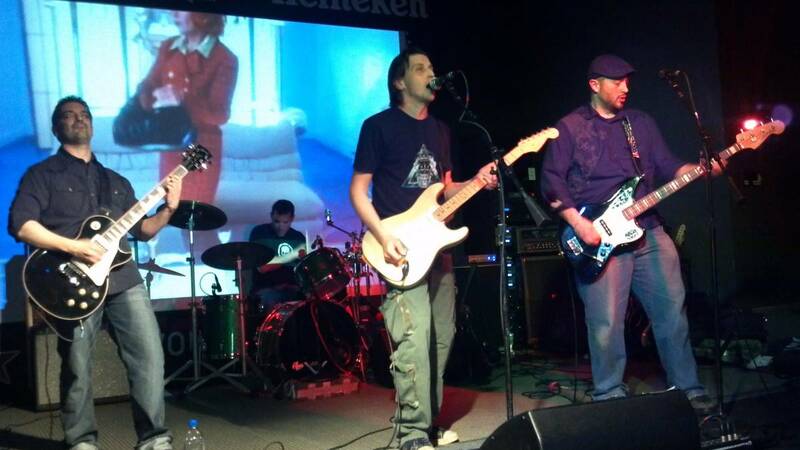 In 2008, Basket Case has established themselves as regulars on the local and national tribute band scene working regularly with other popular tributes like Monkey Wrench – The Foo Fighters tribute.